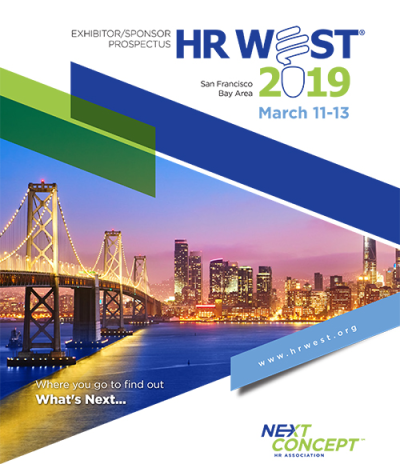 At HR West, exhibitors are our partners in the event with exhibit space located throughout the venue in the main traffic paths, not relegated to a large expo hall. Meet face-to-face with HR decision makers and get your brand in front of over a thousand people. Opportunities sellout quickly, reserve your spot today! Contact Denise Granados at dgranados@nchra.org for more information. The average attendee at HR West is a Director or Manager with 16+ years of experience. Of the 2,000 attendees of the past few years, we’ve seen representation from both small, medium and large companies. Our membership is comprised of forward-thinking professionals who create thriving organizations through personal commitment to excellence. As a community, they practice the art of HR in one of the most dynamic markets in the world. Your participation in HR West makes you part of this dynamic community. Click here to visit an interactive map of the exhibit hall floor plan opportunities.